Most passengers traveling by trains administered by railway bureaus in Northwest China's Xinjiang Uygur autonomous region will be able to enjoy free wireless network access starting from this year's Spring Festival travel rush. Passengers aboard non-high-speed, air-conditioned lines to and from Xinjiang can also surf the web for movies, news and online games by verifying their mobile phones starting Monday, said the Urumqi Railway Administration on Tuesday. Most routes operated by railway bureaus in Xinjiang will provide onboard WiFi services as part of an initiative to improve the experience of passengers on the often long, tedious trips. 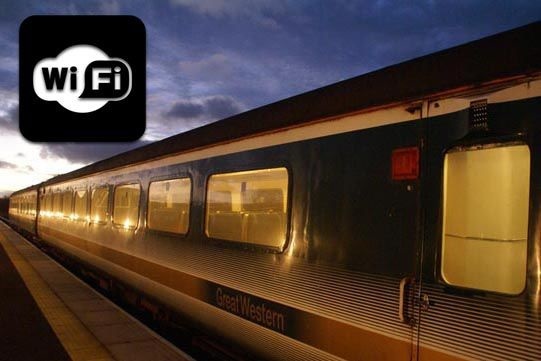 Inter-city and direct express trains in the region already offer WiFi services. WiFi was first introduced on Xinjiang's inter-city trains in 2015. In September this year, direct express trains from Xinjiang to Beijing, Shanghai and Guangzhou also started providing the services. Copyright©China Intercontinental Communication Co., Ltd. All Rights Reserved.